Does your night time skin care routine measure up? After a long day at the office, and an even longer day when exposed to the sun and Florida heat, you want to make sure that you are treating your skin properly. When it comes to applying your makeup, you won’t use half your makeup on one side and not the other, the same goes towards your skin care. Your nighttime regimen is as crucial as your day-use products. It is never too early or too late to invest in excellent skin care products, especially when you consider that the skin is the largest organ on the body! Thankfully, Dr. Deborah Longwill has created a line of skin care products designed to make sure your skin stays soft, healthy, and clean. Check out these ideas to curate the perfect Nighttime Skin Care Routine! Use Advanced Anti-aging Replenishing Oil: Reduce the early signs of aging with this top of the line, lightweight, replenishing oil. Give your skin the moisture and firmness that it deserves after a long day. Keep the bounce and elasticity well into your years with GlowBiotics‘ incomparable anti-aging oil. Invest in Probiotic Lotion: Is your current lotion filled with dyes and sulfates? Probably. Don’t keep making that mistake and get yourself a probiotic nourishing gel to oil cleanser. If you go with Glowbiotics, you can purchase a makeup remover as well as a probiotic lotion in one! Treat your skin right and don’t moisturize it with harmful chemicals. Glowbiotics should be a part of your Nighttime Skin Care Routine. Keep your skin hydrated: Invest in a soothing gel or a cleansing mask to ensure that your skin does not stay dry or irritated. Make sure you are exfoliating enough to keep your skin young and hydrated. 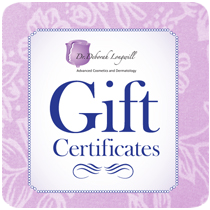 Dr. Deborah Longwill has an extensive line of skin care products filled with vitamins and is soap-free to reduce skin damage while soothing and restoring the skin cells. Exfoliate and Retexturize with the KP kit: A proper skin care routine does not just stop at the face. Wouldn’t you love a package full of products designed to exfoliate and soothe your whole body? Well luckily, Dr. Deborah Longwill has a kit just for that! The KP kit utilizes the benefits of Free Glycolic Acid to combat skin conditions such as KP, red bumps and red itchy skin. 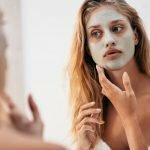 Use a mask: Are you battling redness and inflammation on the skin? Do you want to boost your skin’s natural healing abilities with a cool and soothing mask? Look no further! Dr. Deborah Longwill has created the Probiotic Soothing Gel Mask. This mask works by infusing the skin with powerful antioxidants that hydrate and reverse the sign of aging. If you are not currently taking the steps at night to make sure that your skin stays young and healthy, you may regret it later. Don’t wait any longer to start taking care of the only skin you’ll ever live in! Take the first step towards upgrading your Nighttime Skin Care Routine and shop at Dr. Deborah Longwill Skin Care today. Give us a call at (305) 279-7546 for more information on our skin care products or click here to browse our fantastic line now!